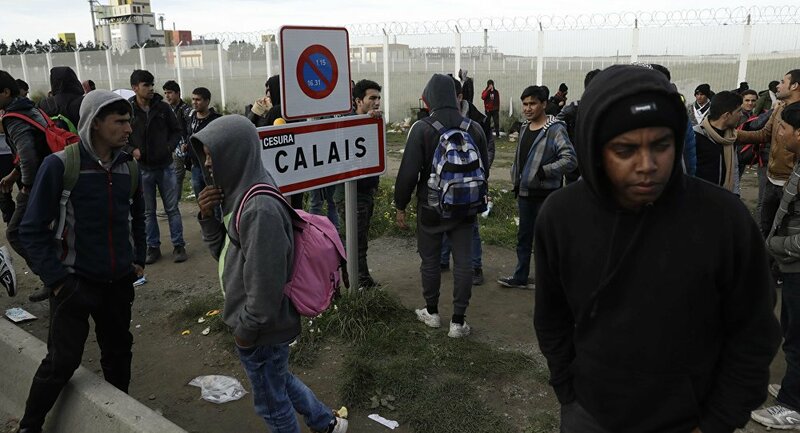 PARIS (Sputnik) - A so-called migrants' "March of solidarity" departed from Italy's coastal city of Ventimiglia on Monday and is expected to reach the French northern port of Calais by early July, local media reported. According to the France 3 broadcaster, the more than two-month-long march has to cover 1,400 kilometers (870 miles) from the French-Italian to the French-UK border and to end in Dover across the English Channel. The aim of the participants is to call for greater solidarity and protest against blockage of borders, according to the broadcaster. The march was organized by the French migrant charity l'Auberge des migrants and supported by numerous international and local charities and NGOs, including Emmaus Solidarite, ATTAC France, Human rights league and La Cimade. Up to one hundred people are expected to take part in every stage of the procession. It is also expected to serve as a fund-raiser to collect money for migrants' necessities, such as clothes and blankets, the broadcaster added. Earlier in April, activists from a small French far-right group, "Generation Identitaire" (Identity Generation), blocked a key mountain pass some six kilometers from the Italian border which they said was a "strategic point for illegal migrants." Pro-migrant activists later organized a rally in response. The French Interior Ministry authorized to deploy additional law enforcement units to ensure security on the border.